There is something I need to point out regarding Harrow Lodge parkrun. It is not in Harrow. It is in Hornchurch, East London. 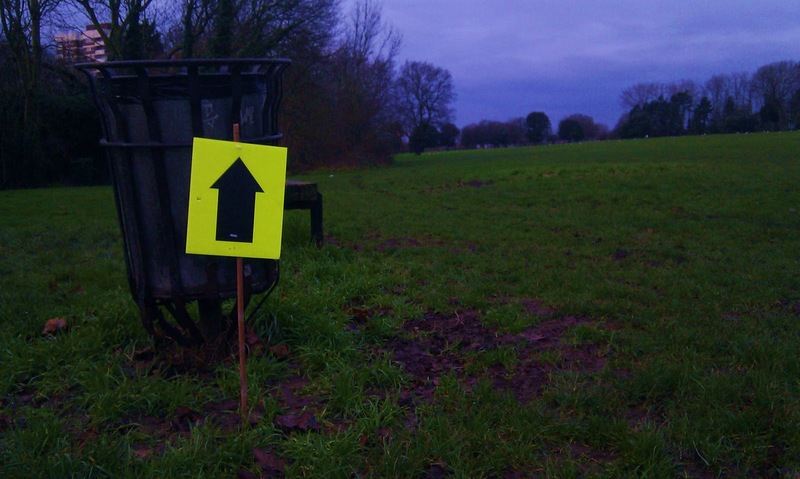 If you are looking to run a parkrun in Harrow there is now one and you can read about it in my Harrow parkrun blog post. The inaugural event of this parkrun had been in my calendar ever since I spotted its start date late in 2012. The journey looked relatively simple, all I would need to do is jump on the District line heading East and get off about 45 minutes later at Elm Park station. As the inaugural run date neared, I took a look at transport for london's website to check the status of engineering works for that weekend. What would you know.. they had decided to close the District line one station before Elm Park. However, to make sure people could still get around they had scheduled a replacement bus, which on the surface seemed pretty good. It wasn't until a couple of days beforehand that I read the small print which said that they were closing a larger section of the line overnight, and that was due to end by 7am. Engineering works are notorious for over-running and I didn't want to risk being stranded on parkrunday. So I reluctantly made the decision to drive instead. Also having travel worries was one of the presenters of the parkrun show, and uber-tourist, Danny Norman. So he became my travel companion for the day. We arrived at the venue pretty early despite me missing our turn off of the A13, luckily Danny fired up his satnav app on his phone to get us back on track. The weather was colder than it had been recently, but at 3 degrees it wasn't exactly cold for the time of year. The forecast did include warnings for light snow and just as we were getting ready a few snowflakes fell - it only lasted for a few seconds - I counted four snowflakes. The start/finish area is situated right next to the car park, which is good. The toilets are on the opposite side of the park in the sports centre (or 'sportcentre' - as it says above the door), which isn't that far but it is worth arriving early if you think you'll need to make a visit before running. 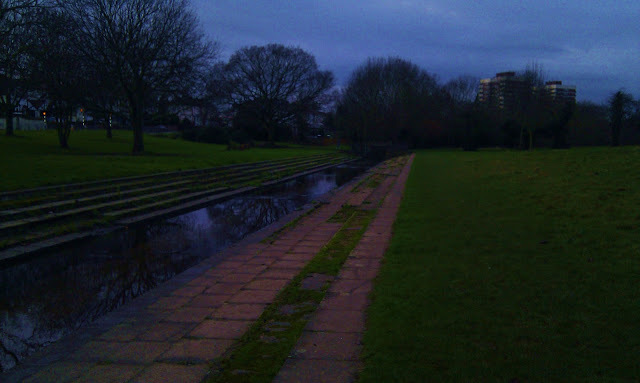 The river Ravensbourne runs along the edge of the park and links into the boating lake, which is an extension and widening of the the river and was originally built as a flood balancing lake. 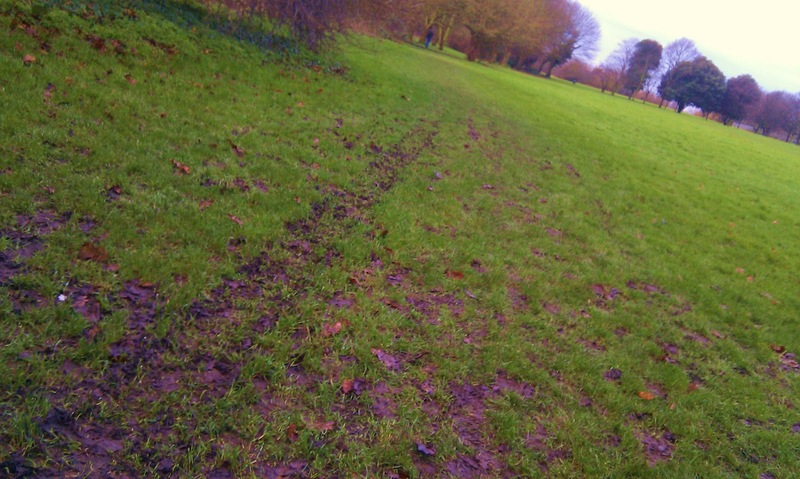 The course is one lap, with approx 4.5km of grass/mud, and the remainder being made up of short stretches on tarmac paths. For this particular day, trail shoes were the sensible option as there was quite a bit of mud plus a few waterlogged sections. The route first takes you towards the South West corner of the park, you soon reach some tennis courts where you turn right and soon you pass through some trees. 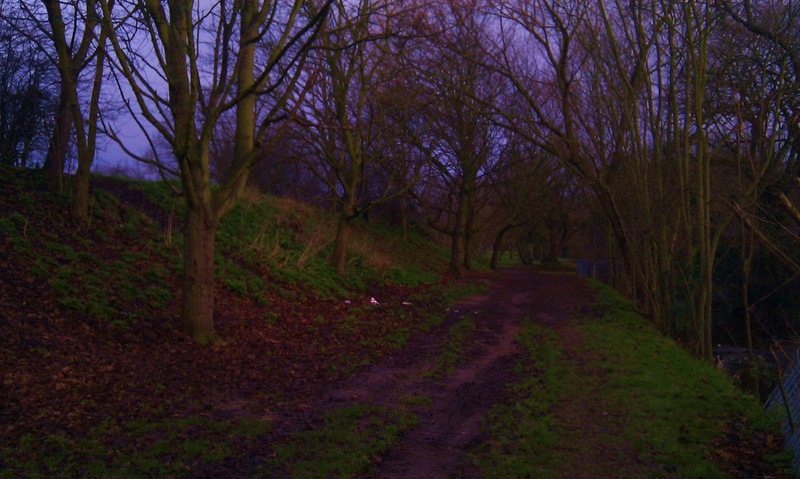 You then work your way through to the North East end of the park, past the sports centre, circle a cricket field and head back along the opposite edge of the park passing through mini trail-like section next to the river and then back onto a grass section. The last kilometre of the run is a lap of the lake, which brings you back to where you started. The profile of this one is strange. It's definitely not hilly. It's probably best described as mildly undulating, but these undulations coupled with the conditions made this a really hard run. The gentle inclines seem to have a way of quickly tiring the legs. To make things worse, I have no memory of any downhill sections to make up for the inclines. All things considered, this is another great venue for a parkrun - After the excitement of the inaugural run they can now get on with the business of building a nice new community event. Unfortunately the cafe wasn't open on the day I visited so, after waiting for everyone to finish and chatting to others to confirm that the course was as challenging for them as it was for me, it was straight back on the road (now with a second passenger - uber-tourist, John Matthews) towards Central London where Danny interviewed me for episode 71 of the parkrun show. Later on I realised that as this was my 20th different venue I now appear on the parkrun most events list (well, for now at least - the criteria might change soon). Photos: I borrowed the photo of the runners at the start line from the Harrow Lodge parkrun facebook page. I took the rest myself. There is also a video from the event which I am in.